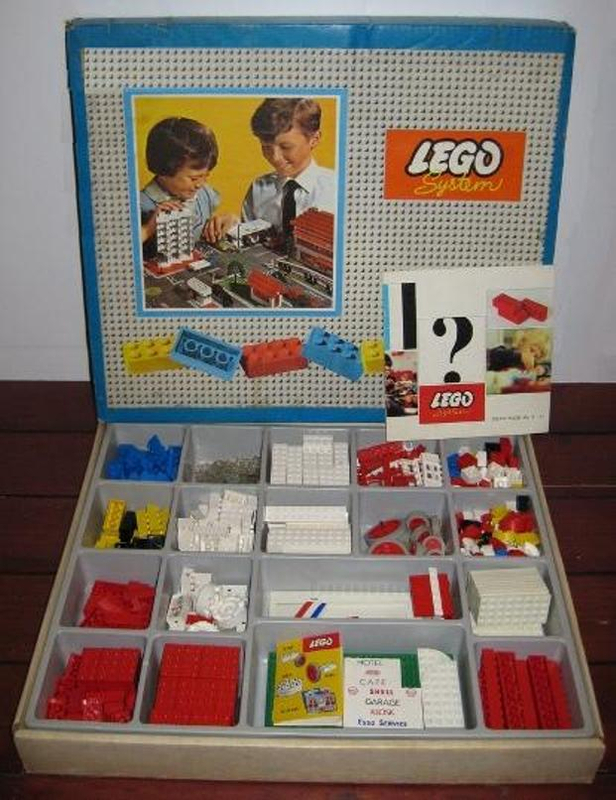 This is a Lego System set from the 1960s and I’m selling it behalf of my friend who has owned it since she was a little girl (she’s not an eBay user). The set comes in a large wooden box measuring 70 x 400 x 473 millimetres with a sliding lid for access. 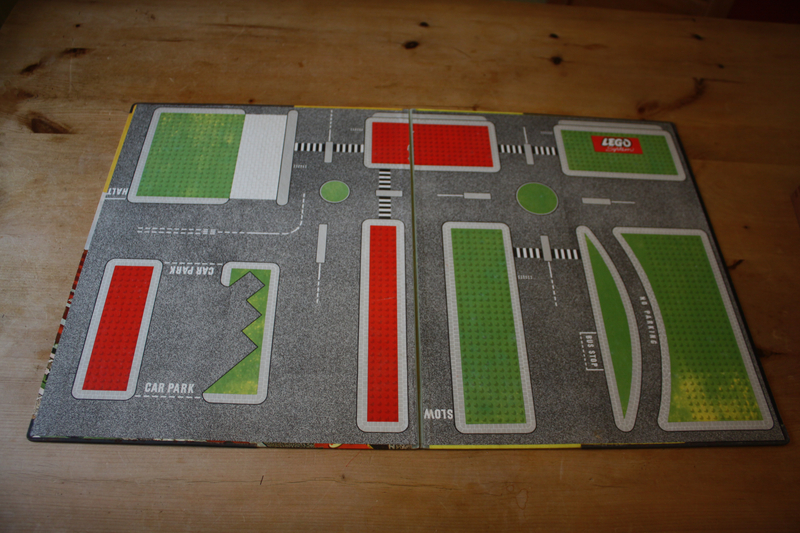 There’s an additional play mat (400 x 540 millimetres when folded) that is slightly larger than the box and features a town plan on the inside with ideas and additional pieces on the back (see photos), the play mat also sports metal corners and a fabric book style spine to improve durability. 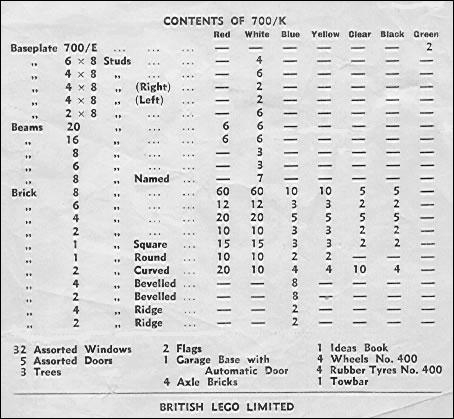 The box contains 1111 (my son and I have counted them) Lego pieces, which vary from the standard block shapes to lampposts and motor cars; the full list is detailed below including colours (see photos). All items show varying degrees of use with the box exhibiting its age (shrinkage, scratches, etc.) with most and the pieces being in very good condition. Documentation wise, it contains a booklet titled Ideas Book No. 2 (for 6d). 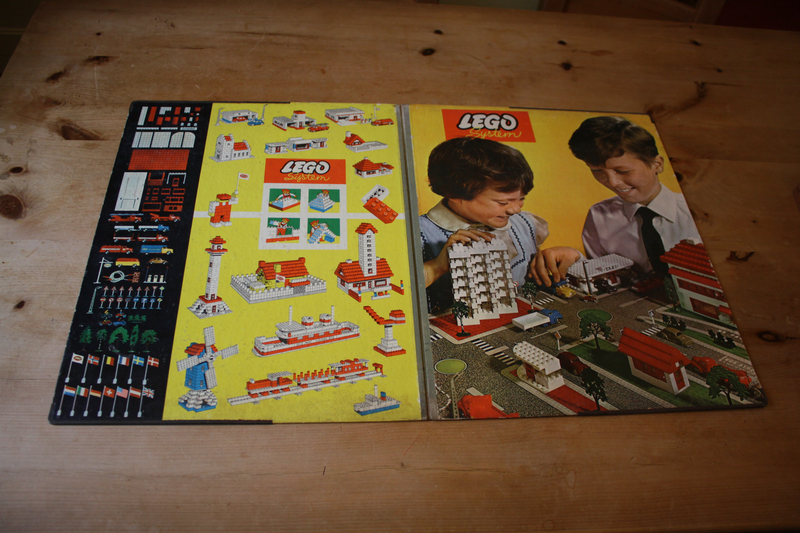 This contains 11 pages of ideas plus adverts for other Lego products. 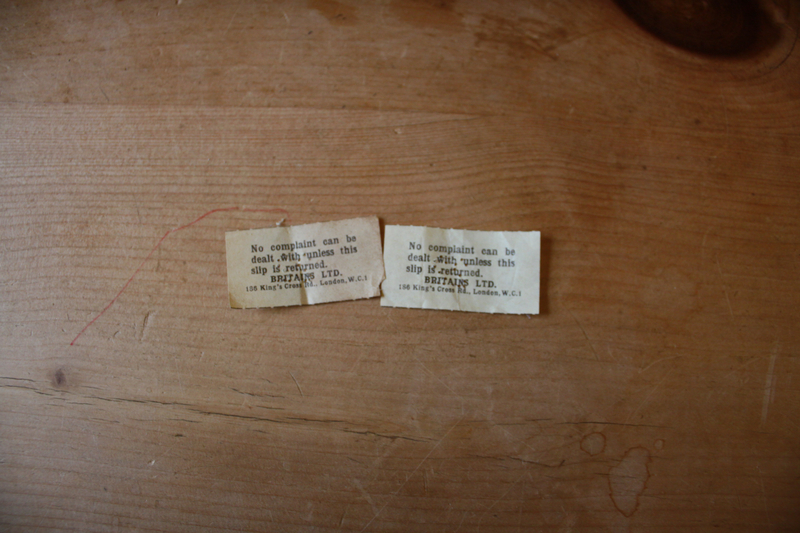 Additionally there are two notes that demonstrate how to put the bricks together to form a stable structure plus an additional two slips that state “No complaint can be dealt with unless this slip is returned. BRITAINS LTD. 186 King’s Cross Rd., London, W.C.1” . 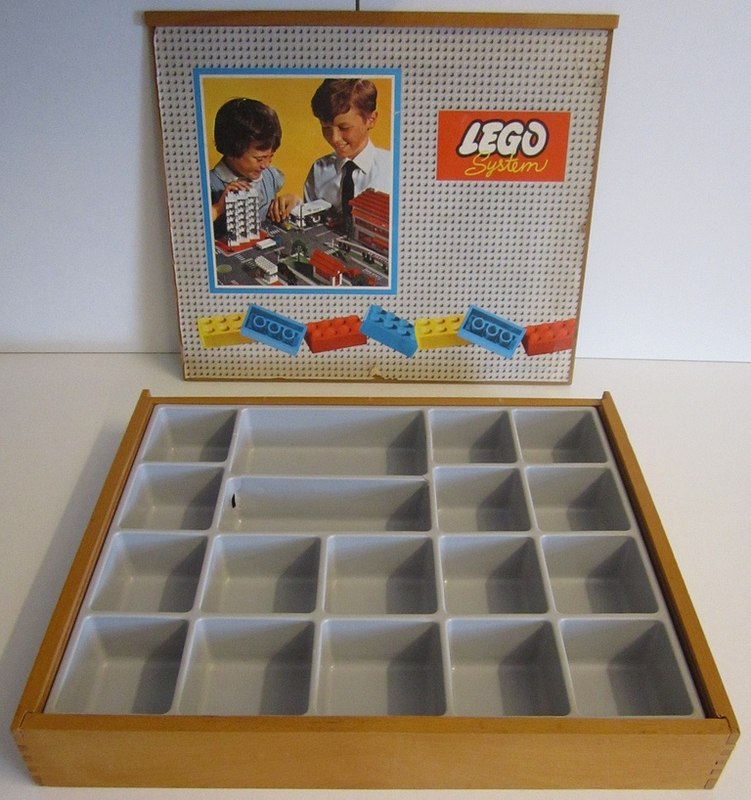 I have this exact same box (at least I think it was until my browser refused to load the photos in full) however, mine has quite standard parts inside for the era, with much less of the specialised vehicles and fuel pumps etc. I'm not sure whether my or yours has been 'customised' more in terms of its contents by the previous owners. 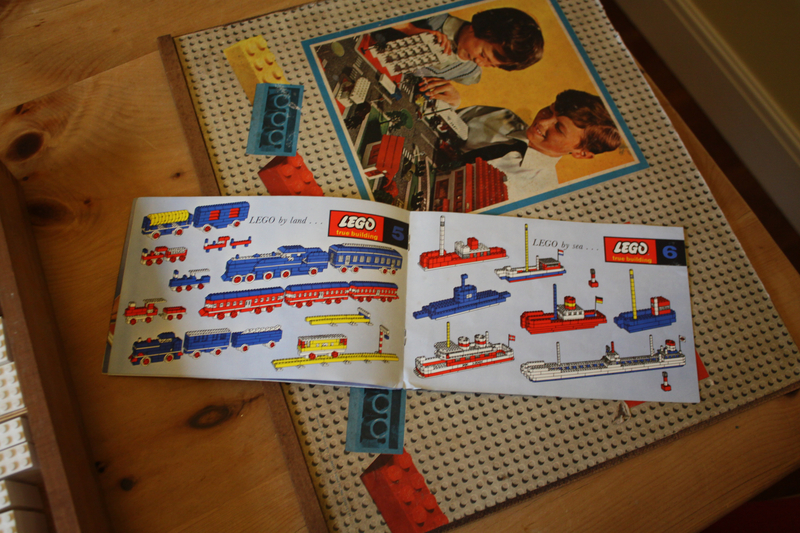 I really like the playmats, vehicles and accessories from this era - on the one hand they might be construed as 'not Lego' because they're not part of the singular System, but there's something quaint and nostalgic recalling the toys Lego made before automatic binding bricks. The set number is 700K. There were a bunch of versions of 700K. This one sounds like the later UK version. Istokg has a contents list for these he has posted somewhere. 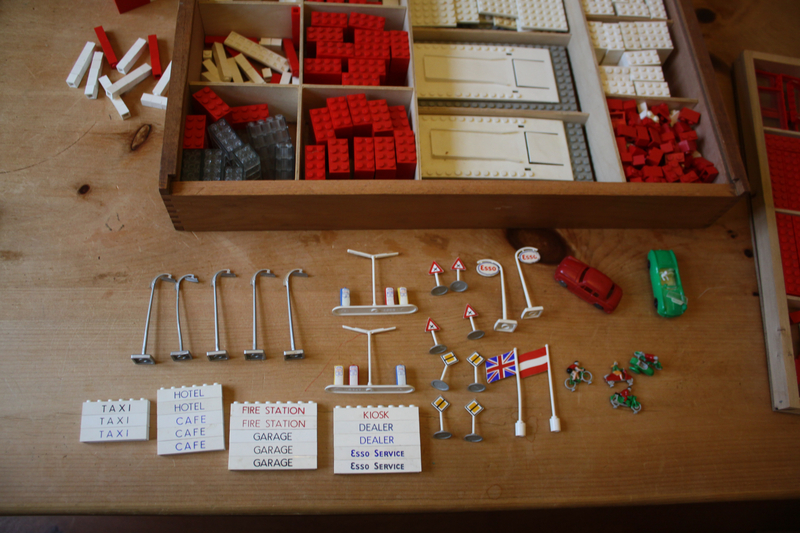 It's not Istokg's inventory, but a inventory included in the box by Lego's UK partner. 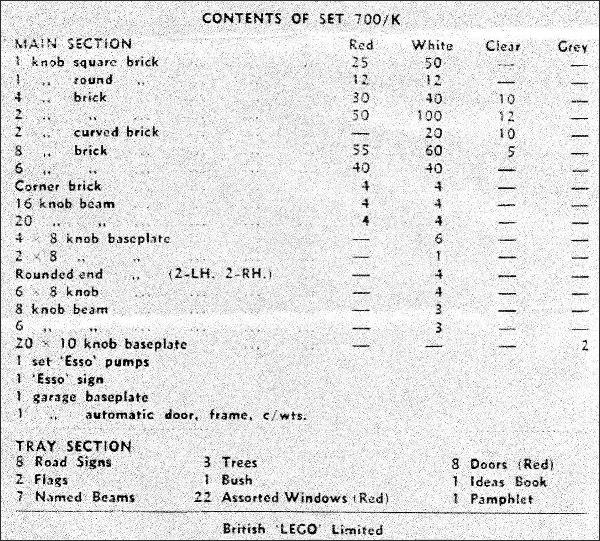 The set the OP has looks to be a 1961 with correct contents. Sorry! I meant 1962 set. 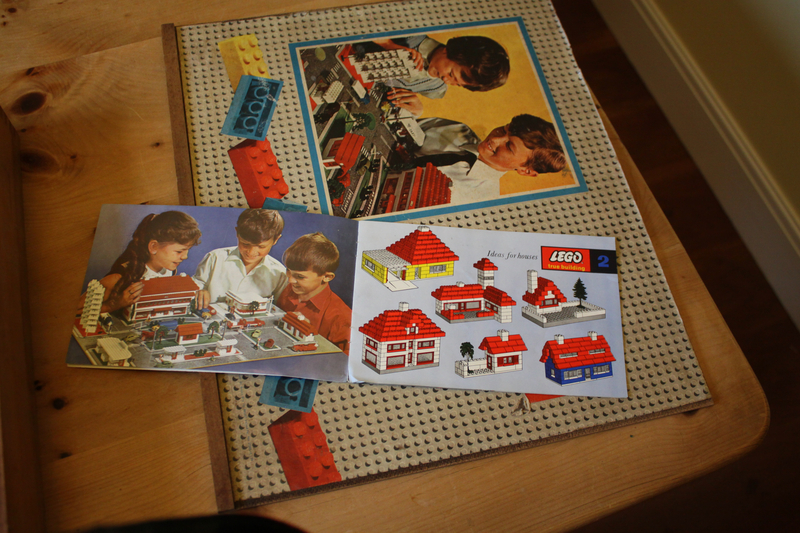 The contents look correct with an added garage and cars and motor cycles and printed bricks. I would date this to later 1962 to early 1963. 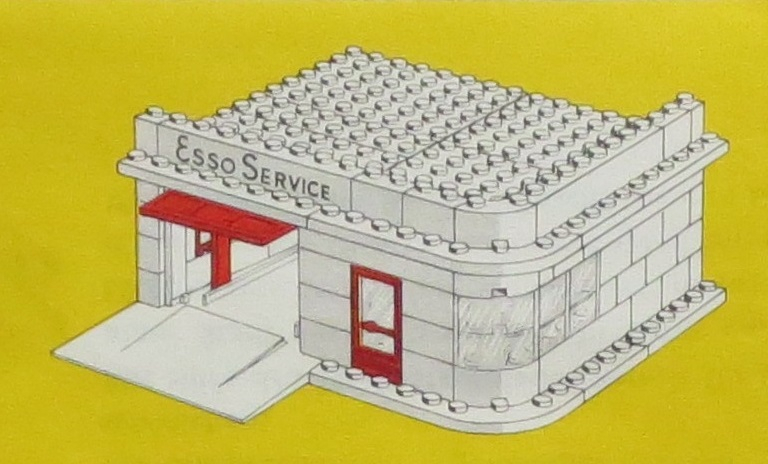 The Wrexham Wales British LEGO Ltd. factory just opened up, and you can tell... because the Esso sign has a curved top (the continental has an "+" or cross shaped top). 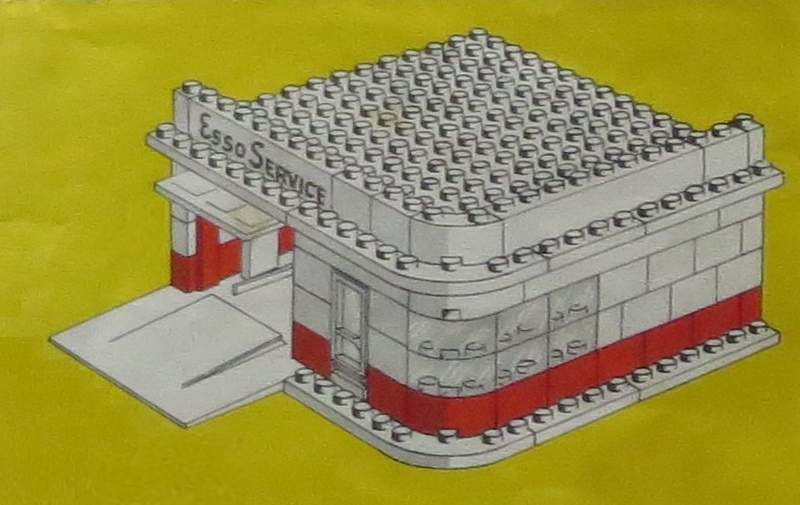 Also the Esso pumps are the British LEGO kind with the a single lamp, while the continental version has the 2 red lamps on either end with the 3 gas pumps in the middle. Interestingly enough the new UK road signs are not yet ready from Wrexham, so they imported the 8 gray base roadsigns from Denmark. I see a lot of part that don't belong (but that's good, because there are many duplicate specialty parts). 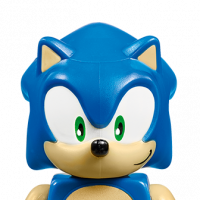 There are two 3 piece garage kits (base, frame door), and only 1 belongs in the set... so there is an extra 235 Garage Kit parts pack included. There are also 5 street lamps, which were not in this set, but there were 5 of these in the 233 parts pack. The cyclists also don't belong in this set, but in the 270 parts pack. I also see way too many bricks, and many spare parts packs were added. As was stated, over 1000 parts were in this set, and there should only be about circa 600. Here is the Contents List for this set. The weird thing about LEGO wooden boxes is that most only have the set number on the contents list... and that is the first thing that gets lost. You are missing the 3 trees and 1 bush... but those can be easily replaced from Bricklink for a few dollars each. You also have an extra pair of Esso Pumps/Sign, so a 231 Esso Accessories was added (these have a decent value). This set should not have a 200 Town Plan board... a nice bonus ($$). 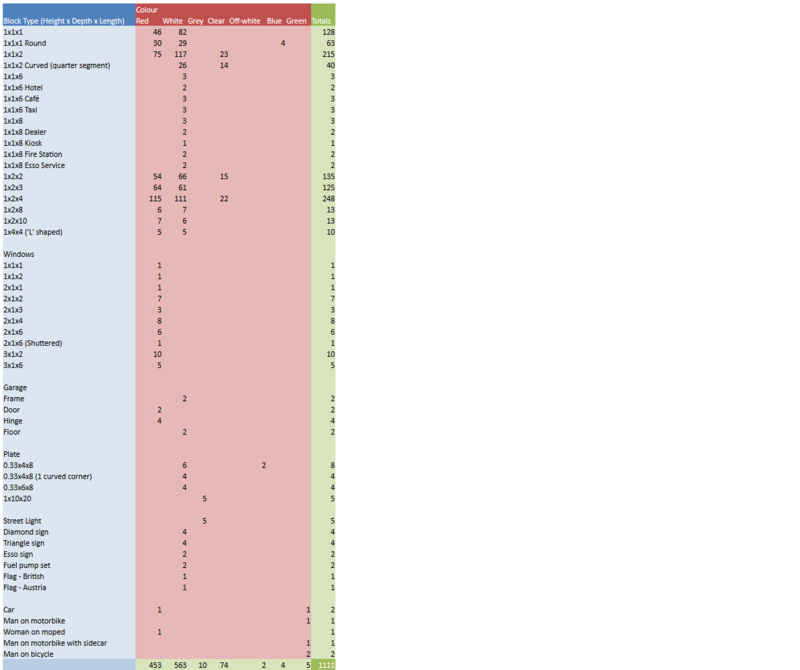 And you have beyond the 8 Named Beams about 2 extra set of 226 named beams parts packs (7 in each). Also you should only have 2 large 10x20 thick gray baseplates. I see at least 3... more bonus. I haven't begun to look at the regular bricks... but the content list will tell you what should be in there. 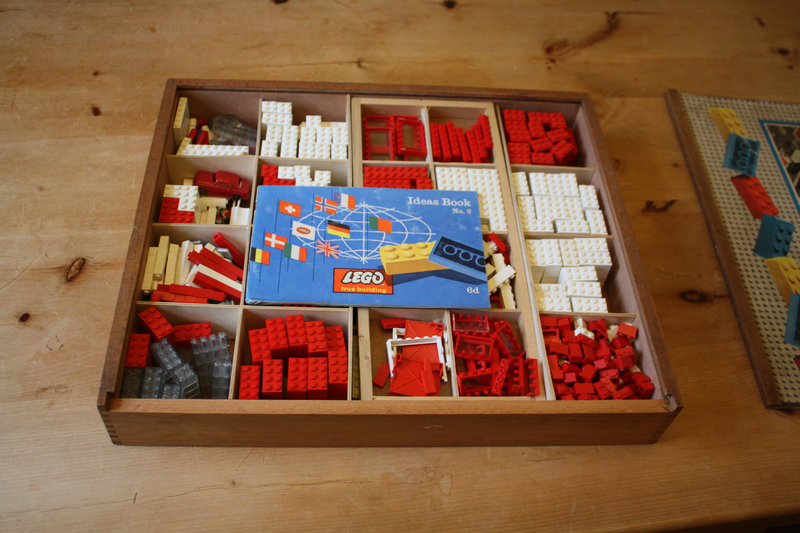 You have several 215-222 bricks spare parts pack in that box. 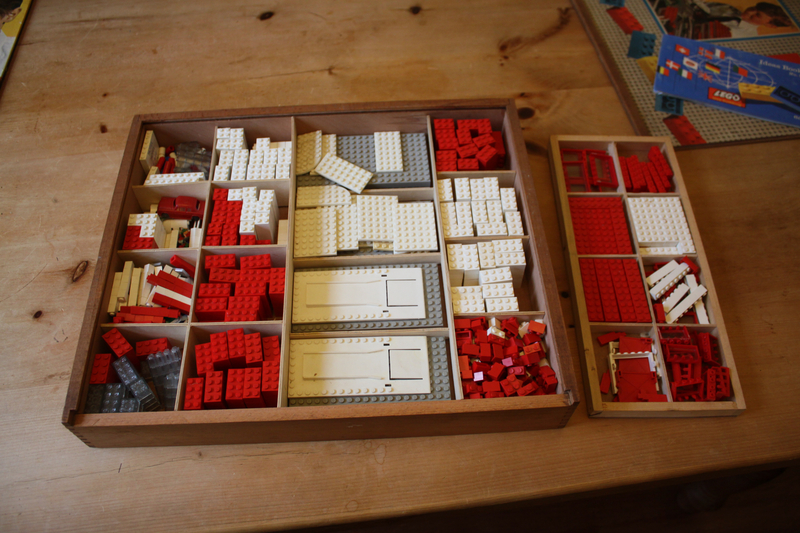 I would recommend that your friend put the 700/K set back to as original as she can get it, and sell the other parts in another group... as well as selling the Town Plan board separately. That would maximise her sales potential. Make sure to use the words 'Town Plan" and "1:87" in your heading (even if you don't have 1:87 LEGO cars... many collectors of 1:87 LEGO cars also are interested in Town Plan sets. 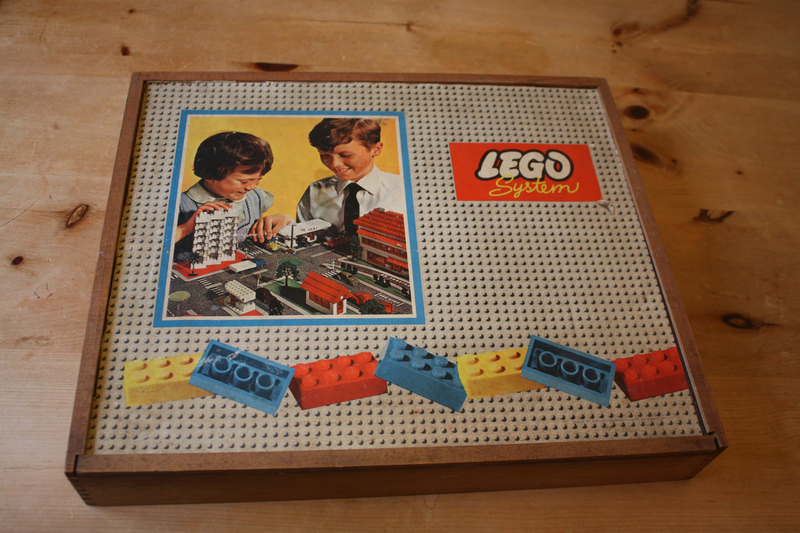 Of the 80 or so different wooden boxes that TLG made from 1957-78, this British LEGO Ltd. 700/K box is the only one that morphed from all wood to all cardboard/plastic. Images all from my Collectors Guide. Thanks @Istokg !! As usual you are a great wealth of knowledge! Thank you so much for your answers and suggestions, I will clarify the origins of the set and if she remembers the extras being added. I will also seek her advice on whether she would want to sell the set as a whole or break it up as Istokg has suggested. Nope, that was not the the thread I was thinking. Nor could it have been. It doesn't have the inventory lists that Istokg has now posted here. It's been some time and I've been busy. My friend has instructed me to sell the set as two separate parts, i.e. the Town Plan board as one item and the box set as one set with the extras. She didn't want to get bothered with separating the items out. I'll bung it on eBay sometime in the very near future, just need to work out postage costs, etc. Again, thanks for you time and effort.